The fruity strawberry syrup is brilliant carmine red. On the nose, it exudes a delicate fruity fragrance and honey. In the mouth, let yourself be seduced by a sweet syrup, buttered and fruity that reveals the flavors of a strawberry juice. 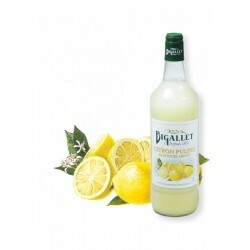 Tasting advice: In lemonade, topping on an ice cream, smoothie or with alcoholic drinks (cocktails, vodka, champagne, beer, ...). 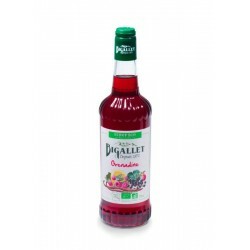 Ingredients: Sugar and glucose-fructose syrup, water, aroma, concentrated juice juice 16% (strawberry 14%, lemon), acidifier: citric acid, coloring ingredients: carrot extracts, blackcurrant.